Marie Kugel was born in 1983 in Duisburg. After doing her A Levels she studied Home Economics and Nutritional Science at the University of Applied Science in Mönchengladbach. She gained her first practical experiences by working in several part-time jobs and internships at well-known companies like Thyssen Krupp Delicate GmbH and Bayer Gastronomie GmbH. In her diploma thesis she developed a concept to optimize the quality criteria in the gastronomy at the Cologne Trade Fair. After finishing her studies in 2008 she gained her first work experience as an advisor in the purchase and development department at Dinea Gastronomie GmbH in Cologne. During this job she began her master studies in Food and Nutrition Science with the focus on management of food processing systems. Her master thesis was an analysis of the information flow in the dairy industry from the producer until the final end users. After her final degree in 2011 a stay abroad in the US for several months followed. 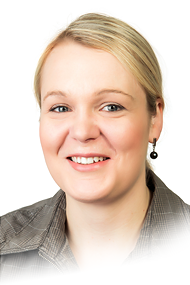 Since February 2012 Marie Kugel has been working as an Account Manager at innotaste GmbH.